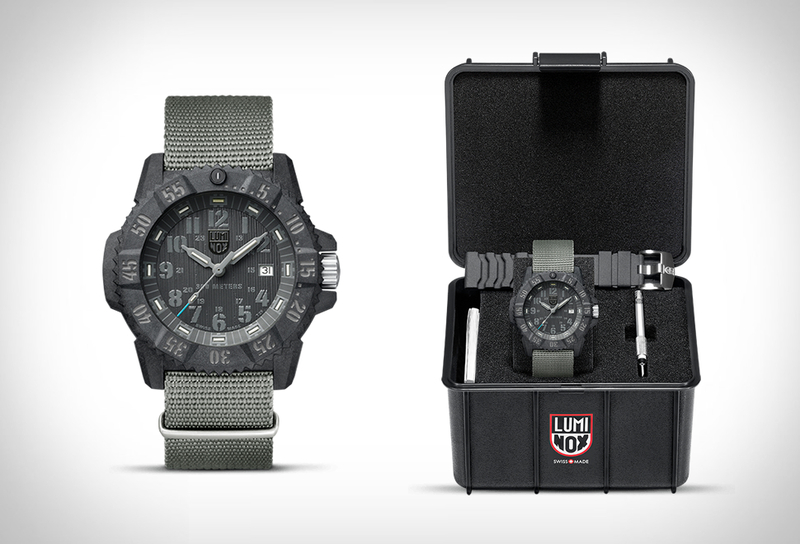 Luminox, the watch brand worn by the Unites States Navy SEALs, amongst other elite forces worldwide, have recently introduced this good-looking limited edition timepiece. 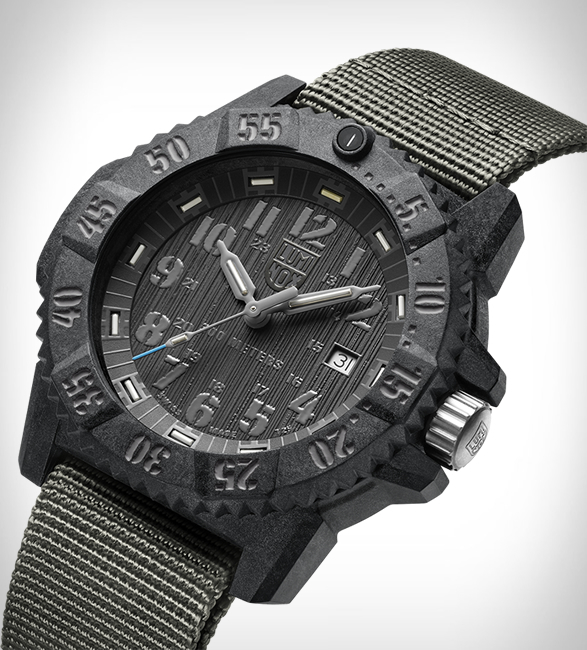 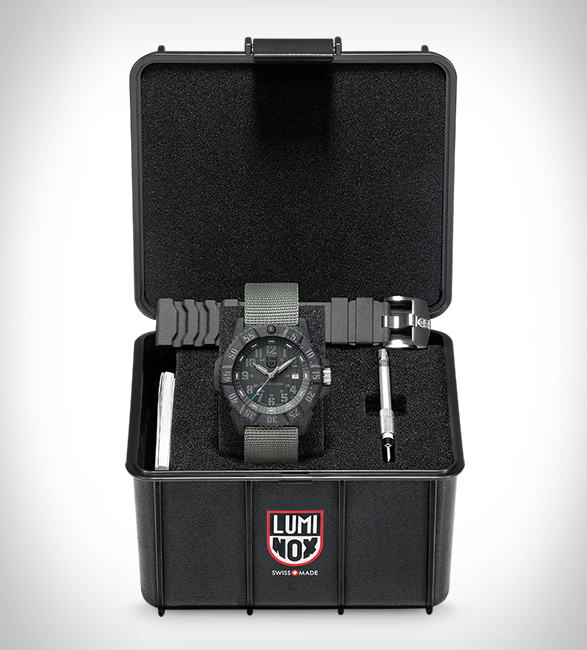 The Luminox Master Carbon Seal features a rugged case made of a compound using 40% Carbon in bar form making the case lighter (three times lighter than titanium), more durable, exceedingly hypoallergenic, more scratch resistant than most other materials, and more chemical and heat resistant. 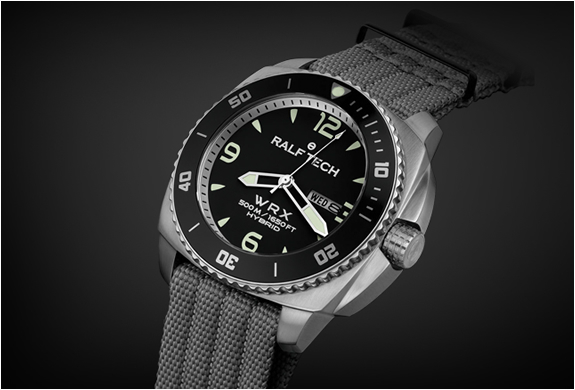 Other details include a grey textured dial that features Tritium hands/markers and luminous dots, a uni-directional bezel with grey 60 minute scale, a Swiss Quartz analog movement, and a Sapphire scratch resistant crystal. 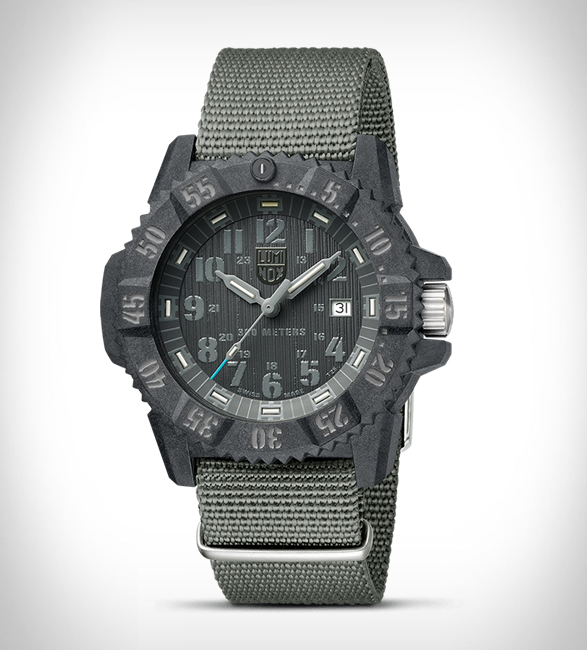 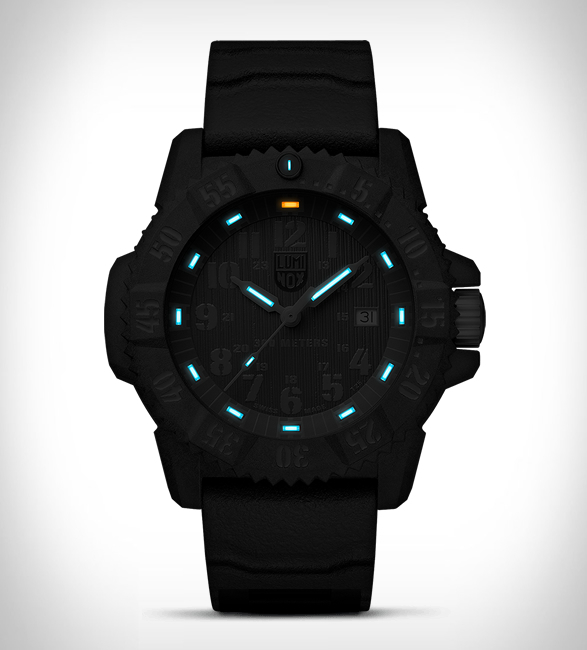 The limited edition watch comes on a grey NATO style nylon strap, and also includes a black Luminox rubber strap.